In an outlaw tale played out as a modern day murder ballad, Martha Barlow must come to terms with her dark past after her teenage son commits a horrible crime. On the run to survive, she must dodge her sociopathic former flame and attempt to reconcile with her son’s dangerous and long forgotten father in order to protect her estranged family. Friday, April 10 – 7:00 p.m.
Jay Silverman, USA, 2014, 105 min. Based on a true story, this drama follows the life of a young girl struggling with the aftermath of a traumatic event. Her behaviors turn destructive, causing her family to suffer. She is sent to find health and empowerment at The Maheo Academy, a residential treatment center that specializes in unconventional techniques such as equine therapy and social horticultural therapy. Saturday, April 11 – 7:00 p.m.
Courtney Ware, USA, 2015, 93 min. A reclusive family therapist craving solitude moves into a new downtown loft and discovers that he is not the only person living in the space. Sunny, a homeless person living in the crawlspace above, watches the therapist’s every move in order to survive. 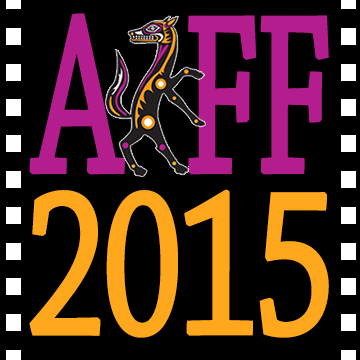 Sunday, April 12 – 6:00 p.m.
Visit filmfestivalarizona.com for more information about the 2015 Arizona International Film Festival. Follow us on Facebook, Twitter, Instagram & YouTube! You will get the latest updates, tips, insider info, reviews, specials, contests, discounts, and the opportunity to connect with other fest-goers.